Figuring out ways to communicate the impact of studying abroad beyond “It was AMAZING!” can be tricky. By the time I returned to the U.S. and particularly by the time I graduated, I found it difficult to articulate the skills I gained and why my experience abroad as a Gilman Scholar was so life changing. After a few Gilman webinars, workshops, and Alumni Ambassador training, I have narrowed it down to the 5 most impactful “soft skills” that I gained from studying abroad. And to be honest, I am not a fan of the term “soft skills” because they are not something to scoff at—they are invaluable and highly marketable skills that help you thrive personally, professionally, and academically. 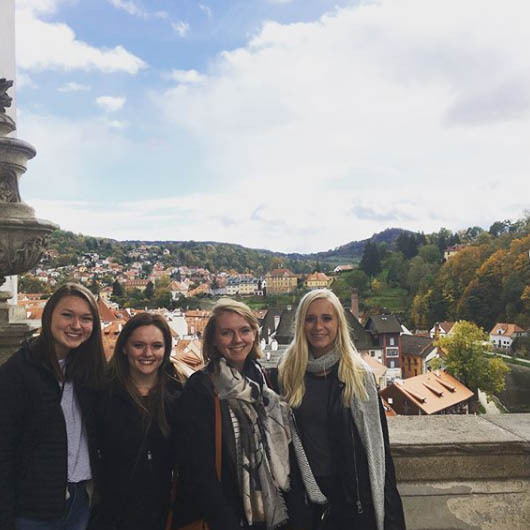 Studying abroad encourages you to navigate new and sometimes challenging situations on your own, and, you guessed it—problem-solving. What am I going to do now that I am lost in a country where the official language is not English? I am going to get creative and figure it out because I can’t NOT do something. You learn to accept and handle change when you find yourself in a new country, new culture, with a potentially new language, and when things inevitably do not go as planned. Reflecting on my experience with culture shock was helpful in identifying and articulating what adaptability is for me. Immersing yourself in a different culture is eye-opening—you gain a sense of humility and awareness of different politics, lifestyles, privileges, and histories. This pushes us outside of our ethnocentric bubbles and helped me become more open and patient when communicating with people from different backgrounds. I spent a lot of time alone when studying abroad, which helped me become more comfortable with myself and confident in my abilities. I am also a firm believer that your study abroad experience is what you make of it. I pursued things that interested me by taking part in different activities that weren’t available back home, such as volunteering and traveling, which helped me realize just how well I can figure things out for myself. Most of my learning while abroad happened outside of class in the form of cultural immersion, asking “why”, problem-solving, and saying “yes” to opportunities outside of my comfort zone. I wanted to learn and absorb as much as possible and I enjoy fueling my curiosity by pursuing new paths (like learning Arabic now!). The challenge is identifying the skills you gained and figuring out how to communicate them outside of the realm of study abroad. For me, my adaptability allows me to function with a high level of ambiguity and handle stress. My intercultural communication helps me to take on new perspectives and establish rapport quickly. My problem-solving skills enable me to learn through listening and observing, process information and organize and prioritize work. I would encourage you to take some time to be introspective and unpack your experiences. Think about how you have grown because of your study abroad experience and how you can extend your skills beyond the scope of study abroad. And then lastly, I would challenge you to think of how you can use these skills not only to advance your education and career but to give back to your communities. Being a Gilman Scholar is a lot more than receiving a scholarship because it connects you to a global network of ambitious students, mentors, and peers. It pushes you to think critically about your study abroad program before you even set foot on the plane. Gilman gives you the opportunity to utilize the skills you developed abroad and to pay it forward as part of this international network in your future careers, at your school and in how you grow as an individual. If you had asked me three years ago what I wanted to be when I grew up, I would have said a journalist. My five-year plan was to graduate, get a job at a local news organization, and to seek the truth and report it. Receiving the Benjamin A. Gilman Scholarship changed almost all of that by allowing me to study abroad in the Czech Republic in 2017. I studied mass media, politics, and diplomacy at Charles University in Prague where I learned how to translate my passion for journalism into public diplomacy and global communications. In class I studied the impacts of authoritarian regimes and censorship, visited the Radio Free Europe headquarters, met with Czech diplomats, and studied the political history of Central and Eastern Europe. These experiences helped to shape my academic interests, but it was the time I spent studying diplomacy with a former diplomat and at the U.S. Embassy’s American Center that completely reshaped my career goals. 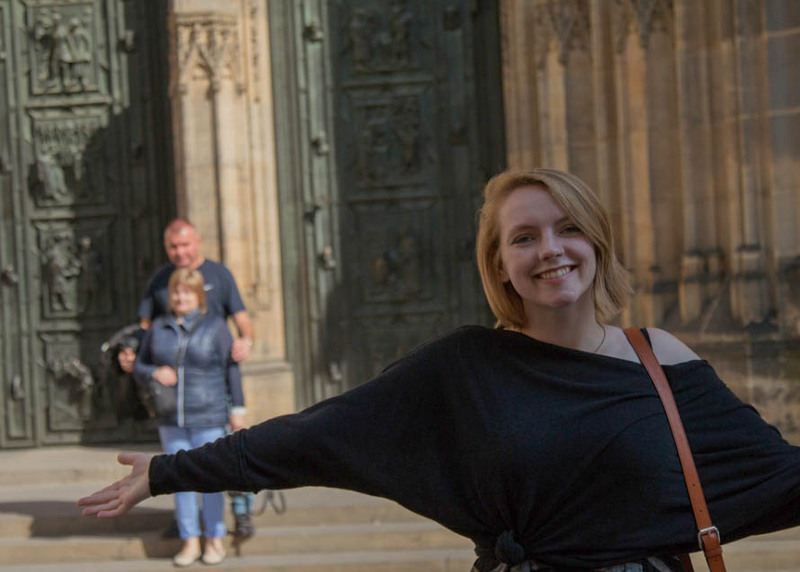 As a Gilman Scholar – a participant in a federally-funded program that sends Americans abroad as part of public and cultural diplomatic efforts – I received invitations to participate in cultural events hosted by the U.S. Embassy in Prague. I had the opportunity to meet U.S. foreign service officers, ask them my questions and experience public diplomacy in action. I shared my culture and language with Czech citizens, and learn about theirs in turn, at events like Coffee and American English, and as a volunteer “student ambassador” with the American Student Association. This is where I began to see diplomacy as more than just political negotiations. At its core, diplomacy is a about intercultural communication and as a journalist, someone who is passionate about communication, learning, and sharing stories, that is right up my alley. The experiences I had as a Gilman Scholar opened my eyes to new interests and career paths that I would never have previously considered. My new five-year plan is to get a Fulbright, earn a master’s degree in international relations and global communications, and join the Foreign Service. 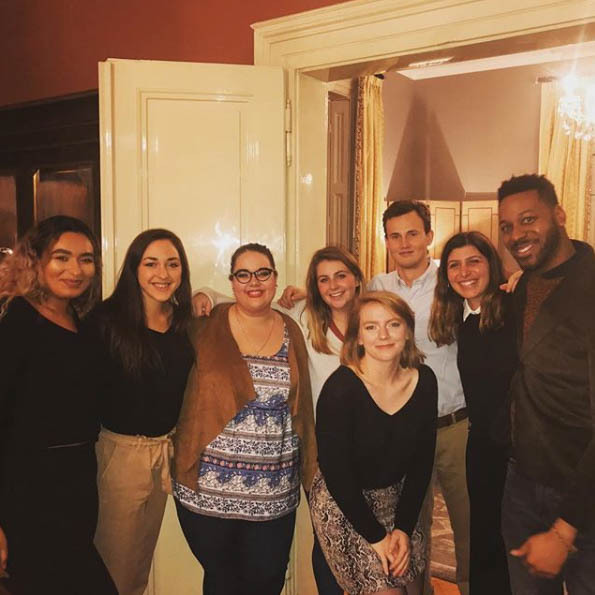 Since graduating, I have begun to volunteer as a Gilman Alumni Ambassador because I want to encourage more students to apply for the Gilman Scholarship, and to connect with alumni and to hear how the Gilman Scholarship has changed or shaped their goals. I am continuing my education by learning Arabic in order to apply for a Fulbright to study the visual representations of war and conflict in the Middle East. From there, my sights are set on applying to two additional federal fellowships – the Rangel and Pickering Fellowships – for graduate school. So, for those of you looking to apply for the Gilman Scholarship, my advice for you is to ask yourself, “why?” Really think about why you want to study abroad and the impact it will have on you. Be open to new paths. And for those of you currently abroad, attend cultural events, accept invitations to events with the local Embassy, be open to new opportunities, and connect with people from different backgrounds. Studying abroad is whatever you choose to make of it and your experiences could change what you want to do in life.